A child’s path to independence is neither straight nor necessarily expeditious. But with preparation, we can foster environments that provide support on this path. Having covered the basics of lunches at school, let’s explore how to use this everyday activity to promote independence. As with almost every skill children acquire, independent lunch-making is a gradual process. We set up the space so that children can be successful, and as they gain skill we adjust the environment so that they have increasing autonomy. The best place to start with lunches is the fridge. Try to set up your refrigerator so that your children can reach the things they need. This often involves a redesign of the entire fridge. Yes, the fridge (or at least this portion of the fridge…) was cleaned prior to these photos being taken. With a freezer on the bottom, all of the lunch packing things go on the lowest shelf of this refrigerator. The bottom shelf on the door also holds items the children are expected to get for themselves. Lunch fixings are divided into small bins based on their food group. 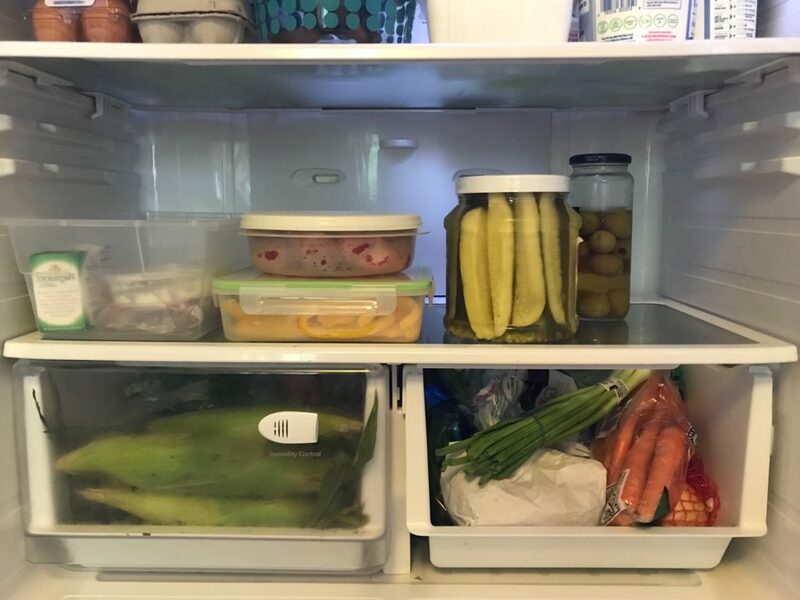 There’s a protein bin on the far left, then veggies and fruit and of course pickles and olives! An additional bin can be found in the pantry with crackers, bread and the like. Having a few options allows the child to make a choice. This buy-in often results in less food waste. At the table or counter – where the child can reach and see everything – place the bins from the fridge plus your basket of containers. Then we bridge toward independence…. Children can take the bins in and out of the refrigerator themselves. They can help sort and put away the groceries, placing their lunch things in the right spots. Menu plan for lunches with your children including allowing them to write requested grocery items on the shopping list. 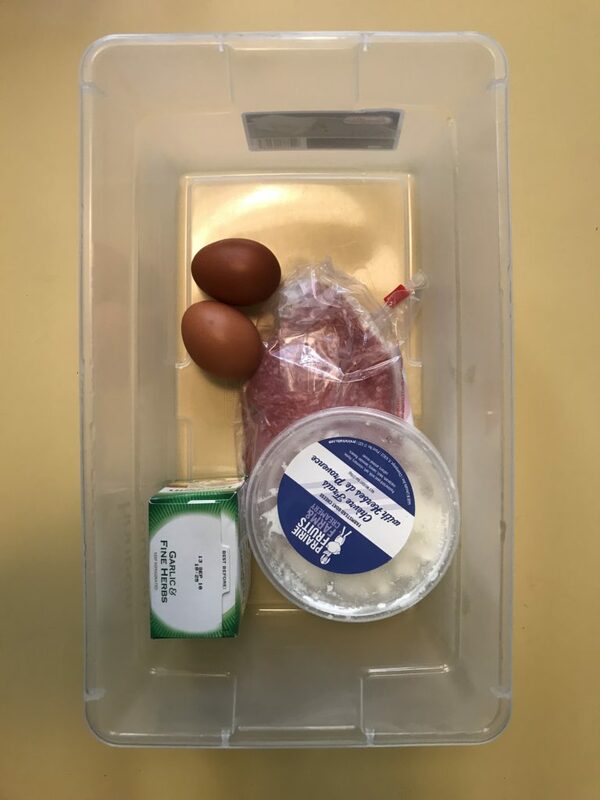 They can prepare items for the bins – hard boiling eggs or chopping veggies to fill their containers for the week. Some families prepare items ahead of time. This might include buying items in bulk and dividing them into smaller containers for the entire week. If your child is a fan of sandwiches these can be made in advance. Many sandwiches can be frozen, and your children can remove one every time they make their lunch. Increasingly, they’ll be in take on more and more of the process until they take it over altogether. Vegetable cutting is a favorite work at school. 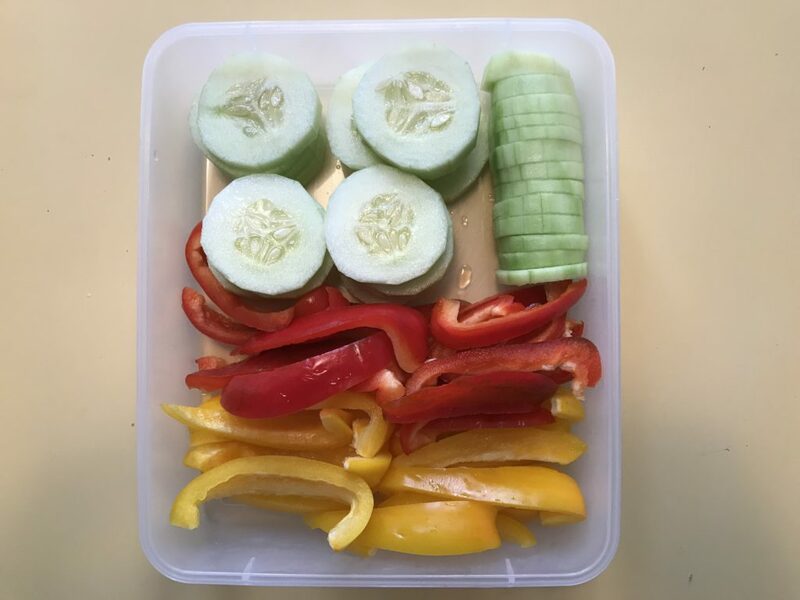 This skill can easily transition home and your child can prepare sliced foods for lunches! With the increased independence in the elementary classrooms, children compost the remains of their lunch. It is worth taking the time to check in with your child about the amount they’re consuming and help them navigate adjusting their portions accordingly. Lower Elementary children also have the opportunity to pack a snack. Protein will give them the boost they need in the morning, remember this when they’re packing lunch. Let them listen to their body – they’ll know if they need a snack or not! Finally, every child can be responsible for bringing their lunchbox into the house at the end of the day and emptying it! 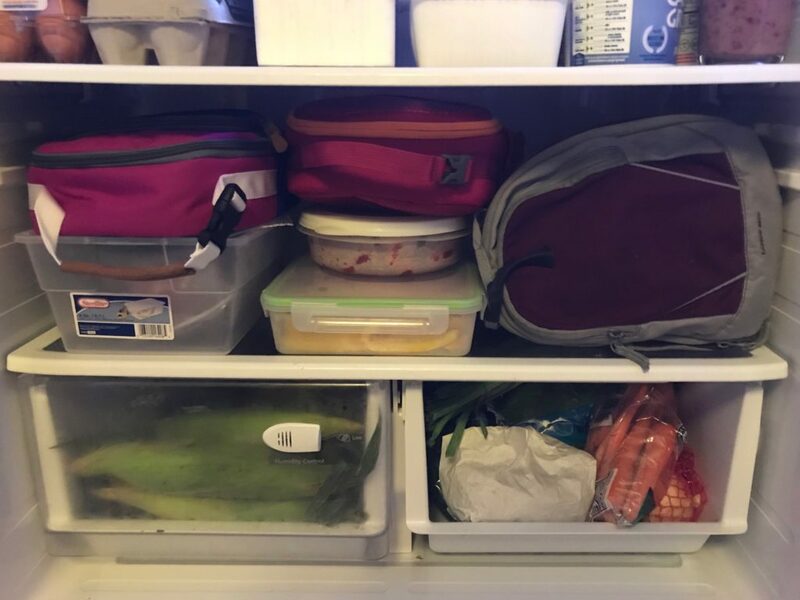 Storing lunchboxes in an accessible place permits children to take ownership of taking out and putting away their lunchbox. Three lunches ready to go for the next morning! Everyone’s set up will look different. If you take some time to think about where your children are and where you hope them to be in the future (do you want to pack lunches for your 20-year-old? ), you can then reflect on how to gradually allow them more and more agency over their lunches.